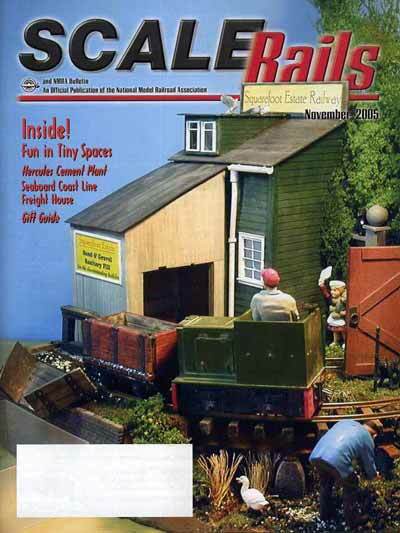 The Squarefoot is featured on the cover and in my seven-page article, “Fun in Tiny Spaces” in the November 2005 issue of Scale Rails magazine, a publication of the U.S. National Model Railroad Association (NMRA). 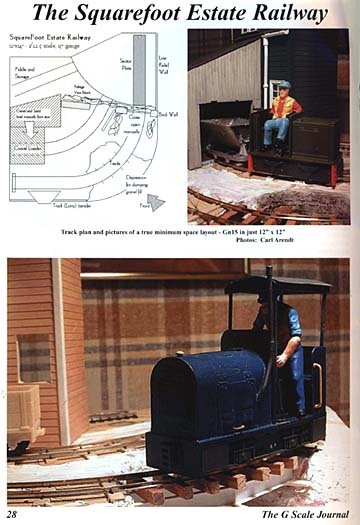 The Squarefoot is covered in detail in my six-page article, “Large Scale in a Tiny Space” in the August 2004 issue of Garden Railways magazine. The color pictures below were featured in the center spread of the G Scale Journal for Summer 2001. These photos were taken during construction of the railway. 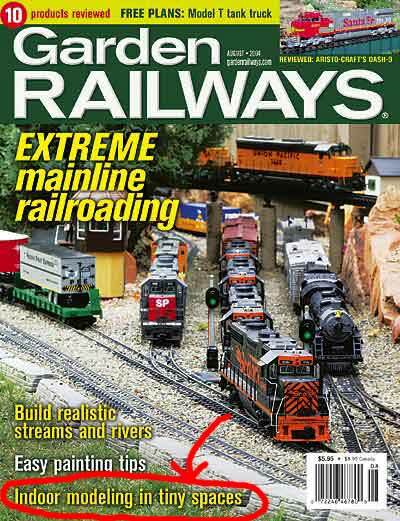 Reprinted with the express permission and encouragement of The G Scale Journal, the G Scale Society, and Editor Steve Dennison.